Fans of Laura Ingalls Wilder's Little House books have long wondered about the rest of her story. The fictionalized books only tell us so much (and being fiction, it's not all truth). In my years of reading and research, I've come to admire Laura Ingalls Wilder not only for her Little House books, but for the life she lived. South Dakota Society Press brought together a team of nine Laura Ingalls Wilder experts. 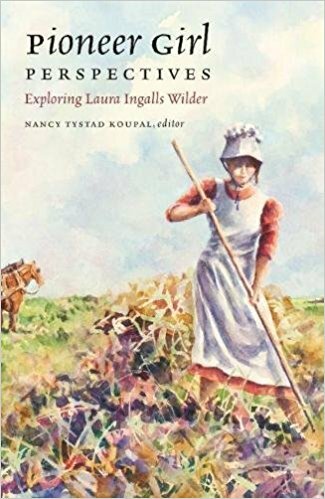 Each of the Wilder experts (plus an interview with Noel Silverman of the Little House Heritage Trust) explore different aspects of the Little House author in Pioneer Girl Perspectives: Exploring Laura Ingalls Wilder (affiliate link). The individual essays come together and give the reader a better understanding of Wilder's life, career, and more through the editorial work of Nancy Tystad Koupal. Wilder's personal and writing relationship with her daughter Rose Wilder Lane are examined. Curious about the Benders in Kansas? That strange episode is addressed, too. This book considers mid-western influences, fairy tales, and so much more! Pioneer Girl Perspectives does just what the title states. It explores the life of Laura Ingalls Wilder from different perspectives. It's another excellent resource for any Laura Ingalls Wilder fan from South Dakota Historical Society Press. In case you don't know, Laura Ingalls Wilder's autobiography was finally published in 2014. Pioneer Girl: The Annotated Autobiography (linked to my review) provides Wilder fans with her own account of her pioneer childhood, written for adult readers. 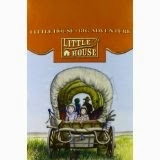 When she and Lane could not find a publisher, it was used as the foundation of the Little House books. 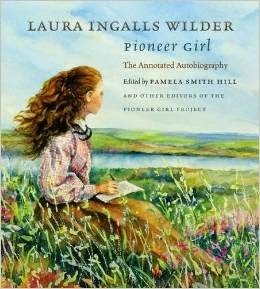 Wilder's text and Pamela Hill Smith's extensive annotations make Pioneer Girl a treasured Laura Ingalls Wilder encyclopedia. Thank you South Dakota Historical Society Press for providing these scholarly Laura Ingalls Wilder books. Be sure to read The Pioneer Girl Project, a site dedicated to sharing the research and findings of the research team. I understand fans' desire to know more about the Little House author. To help children understand pioneer living and the Little House books, I provide pioneer workshops for children. For fans (adults and children) of the books who want to know more, I offer a couple Laura Ingalls Wilder programs. I've even recommended resources here at Little House Companion. Because a lot has been written about Wilder. These are two Laura Ingalls Wilder resources you don't want to miss!